Your life is filled with good moments, imperishable memories, happy encounters that transform it, in a pleasant way. These elements transform your life and somehow, make you evolve. You become, wiser, even more confident about yourself and your abilities. Your life could be a long, quiet river but unfortunately unpredictable events keep occurring. These events are like small, indelible tasks that unconsciously pollute your mind. Consciously you chase them out of your mind, or you decide to not give importance to them, but you often remain with a feeling of sadness, that it is sometimes quite difficult to explain. Clinical experience shows that this kind of ‘pollution’, these “intrusions”, these “dark clouds” are actually mental images that reduce or block your flow of perception, cognition and emotion. You then, feel that your life is escaping from you, and that you can no longer be understood by the people who love you, and that you do not understand your surroundings, your goals are pushed to the next day, you begin to lose your confidence in yourself. Before, your life was quite different, but you also start to forget that and you give up. Many of you, in your life are going through difficult times, that you are able to overcome because you find sufficient resources in yourself, but others believe that getting out is impossible, and it is beyond their strength. Some customers perceive change as something totally unrealizable, it would be like breaking a record in a hundred meters. Multiple solutions exist to get out of depression but being able to use a proven and rapidly effective method is helpful for any good therapist. The DAS method or “depression in a space of consciousness” was recently developed by Dr. Lucas Derks, in the Netherlands. For this method, we ask the patient to situate his feeling, related to depression, his ‘dark spaces’ and his ‘dark images’, in a given space area. After processing these images, the subject is asked to place them at the center of his attention, so that the patient can reach some pleasant feelings. After several years of study, it was soon discovered that these dark images were the reminiscence of problems that are often difficult to manage, on a daily basis. A questioning then will follow in order to go to the heart of the problem solving. 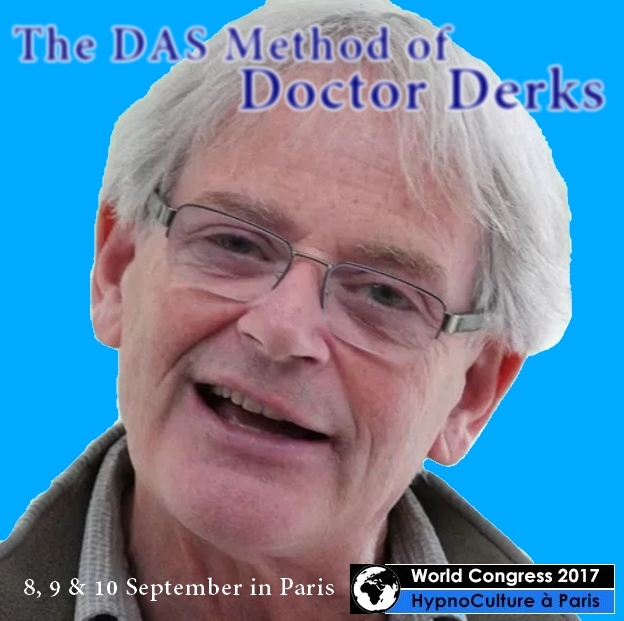 If you would like to discover the protocol of the DAS method or “depression in a space of consciousness” of Doctor Lucas Derks, we invite you to know more by participating * at the World Congress 2017 in Paris at the Holiday Inn Express Paris – Canal De la Villette, under the theme of Hypno-Culture! September 8, 9 and 10, 2017. Do you know the Inner-Team-Focusing®, ITF? Do you consider yourself being on the awareness of the present moment, from here and now, or do you tend to lose yourself in the absence of your own self? The Inner-Team-Focusing® (ITF) was developed by Jörg Fuhrmann, as a holistic approach, based of contemplative consciousness and, it selectively incorporates the wisdom of the body, with the inner work of trance. The ITF is based on the philosophy of being more than a simple method. Because, we all know, the experience of genuine connection within the ‘here and now’ and the conscious recognition of your oneself, is the highest potentiality of healing. IFT considers itself as a ‘philosophy of consciousness, process oriented’, and its purpose is a different hypnotic state ‘deHypnosis’. One of the fundamental ideas of IFT, is based on, what transpersonal psychology has called a ‘consensus trance’: throughout society, we are continually stopped in trance, without a glimpse of realization of this fact. Further, on the line of Gurjieff or Eckhart Tolle, working on the awareness of the present moment, is the new key of this approach. Because for us, collective consensus trances, are classified as ‘Normal consciousness’. These trances have been induced by our parents, friends, educators, teachers, and of course, by the media. The only problem is that our modern culture does not offer a conscious recovery or collective DeHypnosis – as the Greeks still had. These continual focalizations and dissociations – both essential for successful hypnosis – are the true creators of our different internal parts of personality (‘states of the self’). Thus, we work with IFT with induced trances, sides of personality, repressed shadow – in the sense of CG Jung – and sometimes with unhealthy fixations of the ego, that often merged from an imagined or real deficit. This work opens up a whole new framework and space, which gives a deeper inner awareness. 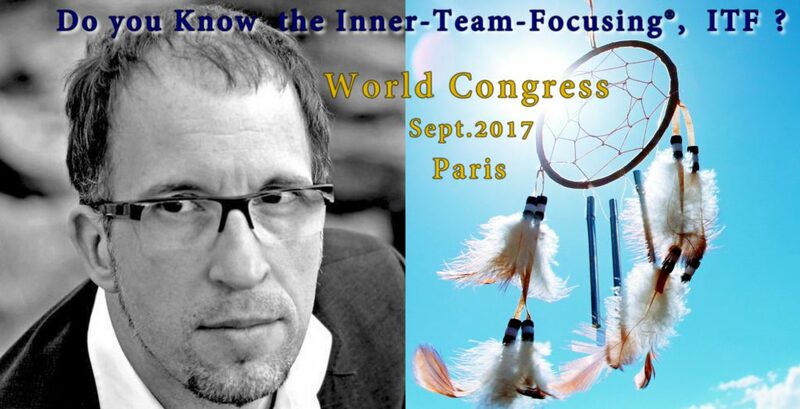 Register here, for the World Congress, from the 8th to 10th of September 2017 in Paris. Do you know how to deal with physical pain? Because, some severe pains are more ‘resistant’ than any other kind of pain, and secondary benefits are sometimes hard to detect, even for Hypnosis and NLP practitioners. Knowing how to effectively manage physical pain, can be very useful for your practice, because as you may know, psychological pain can generate psychosomatic illnesses, and it is essential to know how to treat it from the very deep root. Don’t be afraid of ‘pain’, whatever its origin, this is something vital for being able to run smoothly your sessions, because this can slow down the goals, that your patient has set up. With the utmost respect for pain, Richard Bolstad and Julia Kurusheva will reveal to you, how it is possible to use the unconscious’s signals, to communicate in an effective way, within the brain areas, that are directly related to pain, during their own workshop, at the World Congress. Both will show you some techniques, that have been recognized within the academic setting, and yet unknown to the western world. They can achieve spectacular results. If you wish to meet Doctor Richard Bolstad and his wife Julia Kurusheva, please do not hesitate to let us know, and call us on the 09 72 26 91 25, they will be present at the World Congress 2017, taking place in Paris, on the 19th quarter. Beautiful encounters in perspective, and it would be a shame to miss it, at the World Congress, during the 8th, 9th and 10th of September 2017. Have you ever been confronted to some problems that you thought had no solutions? Have you ever dreamed of having Harry Potter’s magic wand, to change evil for good, for ever and ever? In other words, having a genuine solution, that is simple, fast and effective, is a dream for everyone, and it could become reality, at the World Congress. No need of a magic wand, a therapeutic technique will do the trick to get rid of all the pain, so psychological blockages will fade away without suffering, without constraint, and without thousand words. This therapeutic technique is part of a neurological toolbox, called DNR or Deep Neural Repatterning. DNR is one of the flagship of the Psynapse Institute www.psynapse.fr. Who would not dream of mastering this amazing tool? 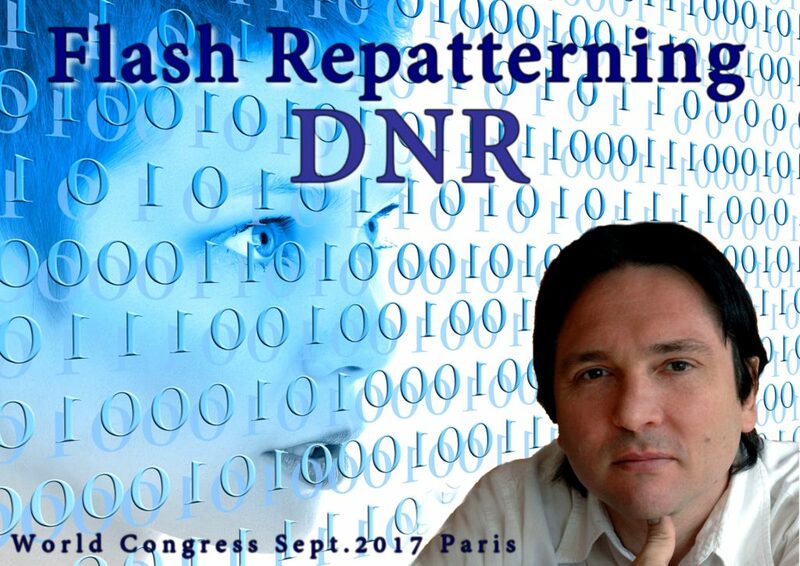 Philippe Vernois, Head Master Trainer, who is actually always looking for performance and excellence, aims to teach you, one of the most powerful technique of DNR, the ‘Flash Repatterning’ Technique, so you can take things in hands again. If you want to know the technique of ‘Flash Repatterning’ and mastering it, come the World Congress on the 8th, 9th and 10th of September 2017.